Dental Bonding is a painless and easy procedure in which a tooth-colored resin material is attached to damaged, chipped, broken, or otherwise decayed teeth to replicate the look and feel of a perfectly new tooth. While it may not be as all-encompassing as other services we offer at our dentist office, it is a much cheaper and easier procedure than options such as dental veneers, bridges, or cosmetic dental implants. Dental Bonding in Holly Springs may be a good option if you have space between your teeth, a chipped tooth or darkened or discolored teeth. Our Cary location provides complete dental bonding services to help restore the look of your teeth. Our dental bonding process can typically be completed in just a couple of visits to our dentist office in Cary. Find out more about the dental bonding services offered at our Cary dentist office. The dental bonding services offered at our Holly Springs location are very simple and can help restore your smile. 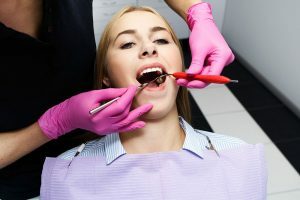 The process can usually be completed in one or two visits to our dentist office in Holly Springs. Find out more about the dental bonding services offered at our Holly Springs dentist office. Schedule a consultation with the team at Sninski & Schmitt Family Dentistry to discuss dental bonding for your teeth by calling either of our locations or filling out the form below.